Regulus couldn't be a Death Eater, he had a soul! and a conscience, that's why eventually he managed to think for himself and realize what Voldemort was doing. I imagine that Regulus was jealous on his brother and the close friendship of the Marauders. Regulus was his mother's pet against his own liking it seems and I think he might have wanted a better relationship with Sirius. But that wasn't possible so he got involved with the DE, which had a sort of comradeship too. I think that Regulus just wanted to belong somewhere at first when he joined the Death Eaters. It's likely that he was a friend of Barty Crouch Jr and both got involved with Death Eaters during their last years at school or slowly after that. This seems implied by the text of his note to the Dark Lord. Based on Sirius's deprecating remarks, and their contrasting tastes in interior design, I would bet they fought. Because he considered such an action vile and despicable. That Voldemort would do such a thing was what turned Regulus against him in the first place. First, Kreacher was already loyal to him, he was the Black heir. His kindness towards and concern for Kreacher could only have helped. No, I believe he was drowned by the Inferi. Dumbledore lived for an hour or more after drinking it, and Regulus was younger and in better health. The potion would have had to kill him in minutes to be the cause of death. It is unclear exactly how they are made, but this certainly seems possible. This question is not phrased clearly. I believe he did subscribe to the pureblood beliefs he was brought up on, yes. But not in their genocidal extension in the manner of Voldemort. I agree. I think that was a huge part of Regulus seeing the light. I'm sure once his eyes were opened he saw how wrong other parts of the Death Eater mentality were as well, but I think it says a lot about his character that the torture of an innocent was what caused him to draw a line. I wonder why he didn't save himself. He could easily had had Kreacher take him with. I wonder if this was part of his plan to keep his family safe. Oh, yes. I think his death was always part of his plan. He ordered Kreacher away, he swore Kreacher to secrecy on what he had done, and he did not explain his change of heart to Kreacher. He mentioned his imminent death in the note, which he wrote before coming to the Cave. I think, perhaps, he feared that if he lived, he would eventually give himself away and get his parents into trouble, Voldemort being a great Legilimens and all. But he also could have gone into hiding and ensured the locket was destroyed. I agree that the event with Kreacher likely helped Regulus see the light. However, I had the idea that it had been more of a triggering event - meaning that prior to that happening, Regulus likely already had doubts about the whole thing. It would seem that Regulus would already know that Voldy behaved in a vile and heartless manner - not just against house elves, but even whole groups of Muggles were killed under his power during the first war. So the event with Kreacher itself wouldn't be a huge surprise to him. I got to thinking that Regulus was influenced by Sirius to some extent back home; but more by the numerous attrocities he saw as a DE, each one making him less and less certain about Voldy - then Kreacher was just the final straw. It would be off page, but I wouldn't be surprised to find that a number of young recruits found themselves abhored once they realized what they were in for! On the other hand, Voldemort was also a good looking, smooth talking, manipulative person according to canon. His offer of power for those who were loyal - plus the poliferation of the dark arts without threat of Azkaban was likely quite attractive to many. In addition, many were into his blood purity stance. That is a little odd because when you look at any wizard on the street, they all look alike at face value and you would have to delve into a person's past to know exactly what they were. My idea was that Regulus had heard all of this from Sirius' mouth and pretty much ignored it, but when he was faced with it himself, the build up of the situation and everything he'd been told by his brother was seemingly true - and as horrible to him as he'd been told it would be, he realized that his new view of Voldemort outweighed the attractive notions that the dark lord was offering. That was an impression and idea I had from the bits and pieces of Regulus that we heard about in the books. Last edited by wickedwickedboy; October 9th, 2007 at 2:04 am. I see no reason to suppose Regulus joined the Death Eaters out of a desire to belong. He was not an outsider like, say, Snape. He was a member of the House of Black, who had all been in Slytherin, and whom Slughorn was happy to collect, so he was probably in the Slug Club. He was also the Seeker of the Slytherin House Quidditch team. He had friends of his own, and no need to envy his brother. I also see no reason to suppose that he had a bad relationship with his mother. Personally, I can see him complaining to his mates how his brother broke his parents' hearts, rather as Sirius bemoaned his stupidity for becoming a Death Eater. He cared enough to try and protect his parents, certainly. Hiding from Voldemort does not seem especially doable, for a Death Eater. 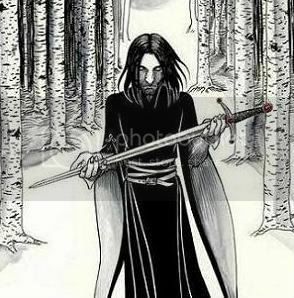 Apparently this was already common knowledge in the first war - Sirius suggests there is nothing unexpected in a DE who got 'cold feet' being found and killed. Also, I keep thinking of Draco Malfoy's situation - his mother, apparently not a DE, was seemingly threatened if he failed in HBP. I think when Regulus realized what he was dealing with in Voldemort, he realized the danger was not only to himself. I agree with you zg but it seems to have been common knowledge that he left the Death Eaters, both Sirius and (I think) Lupin reference that. Would he have put them in more danger by going into hiding? Or did he just not realize that Kreacher could take him with? Yup I agree. I think that Regulus thought both Sirius and Andromeda (and the Uncle who was like minded) were talking nonsense and sluffed it off completely. As you point out, he was likely popular due to Quidditch and had no reason to feel like he didn't belong. But then I think the words of his relatives came back to haunt him when he realized they were all right. That was my impression as well. I felt that Regulus got on well with his mother because he accepted her outlook and was doing as she wanted him to do when he was young (Slytherin/Voldy, etc). I agree and I think this is what kept many of the young recruits who found themselves in over their heads in the DE club. I think they tried to stick to the outskirts of it though - Voldy seemed to have an inner ring of followers and I would imagine that those with wavering souls would not be apart of it. They were likely just called in for the major stuff and otherwise tried to keep their distance - if that was possible. I think Regulus would be among that group. I think that Regulus thought both Sirius and Andromeda (and the Uncle who was like minded) were talking nonsense and sluffed it off completely. As you point out, he was likely popular due to Quidditch and had no reason to feel like he didn't belong. But then I think the words of his relatives came back to haunt him when he realized they were all right. OotP ...they thought Voldemort had the right idea, they were all for the purification of the wizarding race, getting rid of Muggle-borns and having pure-bloods in charge. They weren't alone, either, there were quite a few people, before Voldemort showed his true colours, who thought he had the right idea about things... they got cold feet when they saw what he was prepared to do to get power, though. So, Regulus got "cold feet" when he saw what Voldemort was prepared to do and acted to deprive Voldemort of some of his power, but he probably still believed in the "purification of the wizarding race." It's possible that, if he had not sacrificed himself, this event would have been the trigger for him to realize the error of the pureblood philosophy, but it's doubtful that he did at that time - I expect such a dramatic change would be gradual and after much contemplation. I would agree with that. I am not sure if he was ever able to let go of the blood superiority thing -it had been ingrained in him since his youth. I was more talking about the horrible atrocities he saw once he joined up. I don't think a lot of the younger DE's realized just what lengths Voldy was willing to go to in order to purify the lands. Although, it appears as though Voldy was already doing much of that prior to Regulus joining up, so it is possible that he thought he could handle it, but realized he couldn't stomach it once he was in. It's not clear to me exactly when Voldemort's true nature was revealed. Is there some clue in the books that points toward it being before Regulus joined? Well all I recall is that Voldemort was already known to be accepting DE's in Lily's 5th year (from the memory when Lily ask's Snape if he is planning to join up). So since Regulus was younger, it had to have been started up by then. By the time he graduated it would have been in full swing. I guess I would have thought that Voldemort would have been accepting Death Eaters all along. I always pictured that, since Voldemort was at the height of his power when the Potters were killed, he'd not have been at the height of his power much before that time. If his tactics were known from the beginning, he'd have had a much harder time recruiting his Death Eaters - it's unlikely that Regulus would have joined, for example. I guess I would have thought that Voldemort would have been accepting Death Eaters all along. He was. Dumbledore uses the term of his followers when Voldemort applies for the DADA position, an event that may have happened before Regulus was even born. I always pictured that, since Voldemort was at the height of his power when the Potters were killed, he'd not have been at the height of his power much before that time. If his tactics were known from the beginning, he'd have had a much harder time recruiting his Death Eaters - it's unlikely that Regulus would have joined, for example. Yes, that's what I thought as well. Sirius's comments suggest it: "They weren't alone, either, there were quite a few people, before Voldemort showed his true colours, who thought he had the right idea about things... they got cold feet when they saw what he was prepared to do to get power, though. But I bet my parents thought Regulus was a right little hero for joining up at first." This suggests that Voldemort had not shown his true colors when Regulus joined up. That makes sense. I would say he was in full swing with his planning and spying and such - with just a few killings here and there (because otherwise no one would have known of his reputation), but didn't reach his 'murderous spree' on the Muggles, Muggle born wizards and blood traitors until around the time Regulus joined. After that he would have just built up his name. 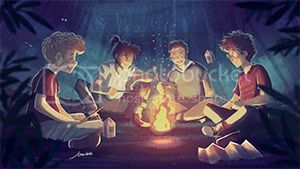 The Order was losing people and the muggles/muggle borns were dying when James and friends were in the Order, so he'd started it up before the Potters were killed. I am not sure why they felt he had reached his 'height' - perhaps by then they had lost a lot of people on the good side and numerous muggles and muggle borns had been killed and he just seemed very powerful. lol...when we start picking at Jo's time frames and dates too closely, things generally get a little fuzzy. I don't think she explored the time frame issue too closely. But it is possible that Voldy reached his height of power in 3 years. Perhaps his killing spree lead up to his being thought to have reached the height of his power. Last edited by wickedwickedboy; October 9th, 2007 at 6:42 am. I agree with you zg but it seems to have been common knowledge that he left the Death Eaters, both Sirius and (I think) Lupin reference that. Would he have put them in more danger by going into hiding? If he had gone into hiding, Voldemort would have gone after him and his family, but if he was dead Voldemort would just leave them alone...he could have feinted it but I think he chose what was easy...he assumed there to be one horcrux and gave Kreacher the opportunity to do the honors and take the revenge. Or did he just not realize that Kreacher could take him with? That in itself proves that he didn't want to live. I wouldn't say it that way, but that he gave his life in the fight against Voldemort. In the canon, it's on par with Dumbledore's sacrifice, since they were going after the same horcrux. That's pretty awesome. I would just say that Regulus was willing to die for something beyond himself, which is very much like his brother, Sirius. I am not relying here on Rowling's infamous inability to do maths, but her considerably more reliable ability to write characters and think out their motivations. It seems from what she has said in interviews, and put in the mouth of Sirius Black, that she intended Regulus to have joined the Death Eaters without knowing exactly what he was getting into, so that the torture and attempted murder of his House Elf shocked him to his core. This could also be an indication of the recruiting approach - it is possible some killings, etc. were going on but were not publicized, so that a Hogwarts student like Regulus would not be fully cognizant of them. No, it means he did not plan to live. As a young, healthy man with decades of life ahead of him, I rather imagine he wanted to live. Rather like Harry, when he made the same choice to die. That's what Harry thought he was doing as well. Last edited by arithmancer; October 9th, 2007 at 2:11 pm.